New Delhi : India and on Wednesday night finalised a new strategically important 10-year defence framework pact envisaging joint development and manufacture of defence equipment and technology including jet engines, aircraft carrier design and construction. It includes manufacturing of defence equipment and technology like jet engines, aircraft carrier design and construction. Two other project agreements for hi-tech mobile power source and next generation protective suits for chemical and biological warfare were signed by the nations. 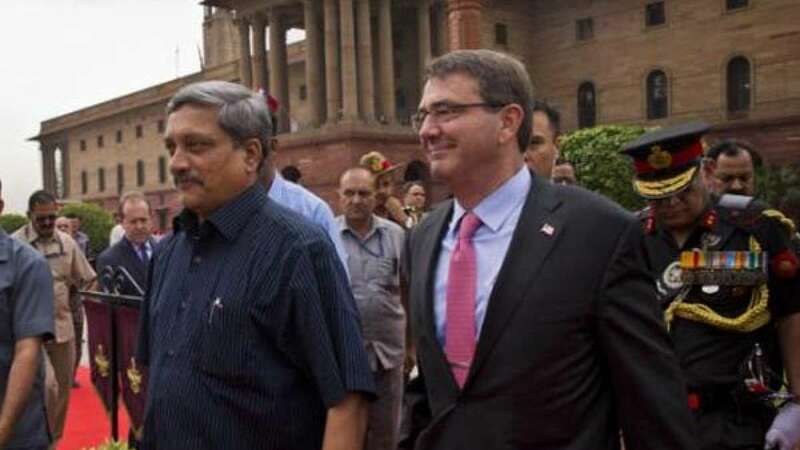 Defence Minister Manohar Parrikar and visiting US Defence Secretary Ashton Carter inked the framework agreement decided during Barack Obama’s January visit in India. Framework also recognises the transformative nature of the Defence Technology and Trade Initiative (DTTI).